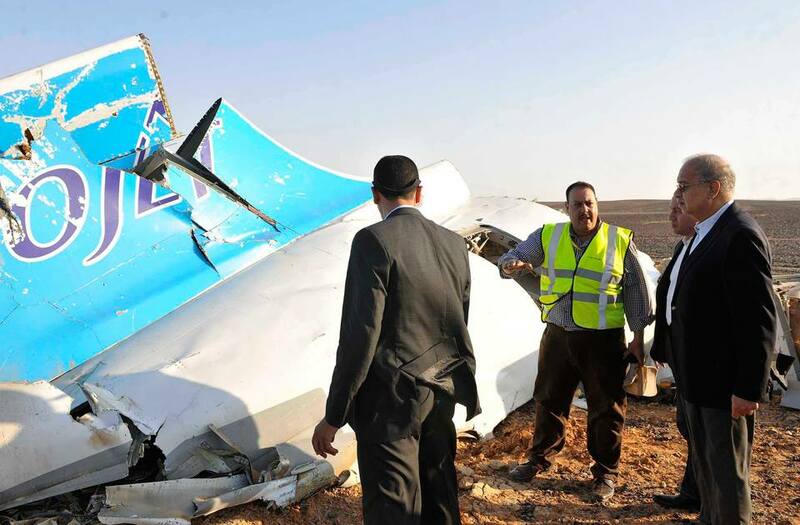 An Egyptian delegation flew to Moscow on Tuesday to present Russian officials with the latest findings of investigations into the Russian airplane crash, state-owned news agency MENA reported. The delegation is headed by Egypt’s Minister of Civil Aviation Sherif Fathy, General Prosecutor Nabil Sadek and the head of the investigative committee Ayman Mokadem. Moscow suspended all flights to Egypt in the wake of the crash that took place in the Sinai peninsula in October, killing all 224 on board. The plane was heading from the Egyptian resort city of Sharm El-Sheikh to St. Petersburg in Russia. In June, Egyptian officials stated they were waiting for the arrival of a Russian delegation to inspect the new security measures adopted at Egypt’s airports. The implementation of all Moscow’s demands is a prelude to the resumption of Russian flights to Egypt. Earlier in July, Egypt’s parliamentary speaker Ali Abdel Aal headed to Moscow and briefed the Russian side about security measures recently adopted at the country’s airports. “Approximately 85 percent of what Russia had demanded, of those guarantees, was fulfilled by Egypt,” Abdel Aal said at the meeting with speaker of Russia’s upper house of parliament Valentina Matviyenko, according to Russian state-affiliated Sputnik news agency. Egypt’s tourism industry, a vital source of foreign currency, has been hit hard since the crash. The number of tourists visiting Egypt fell by 47.2 percent in March compared to the same month last year, the Central Agency for Public Mobilization and Statistics (CAPMAS) said. The agency attributed its findings to the decline in the number of Russian tourists by 99.2 percent.